THIS COMMUNITY IS DRIVING FORWARD, LET’S CELEBRATE WHERE WE HAVE BEEN, AND WHERE WE ARE GOING! 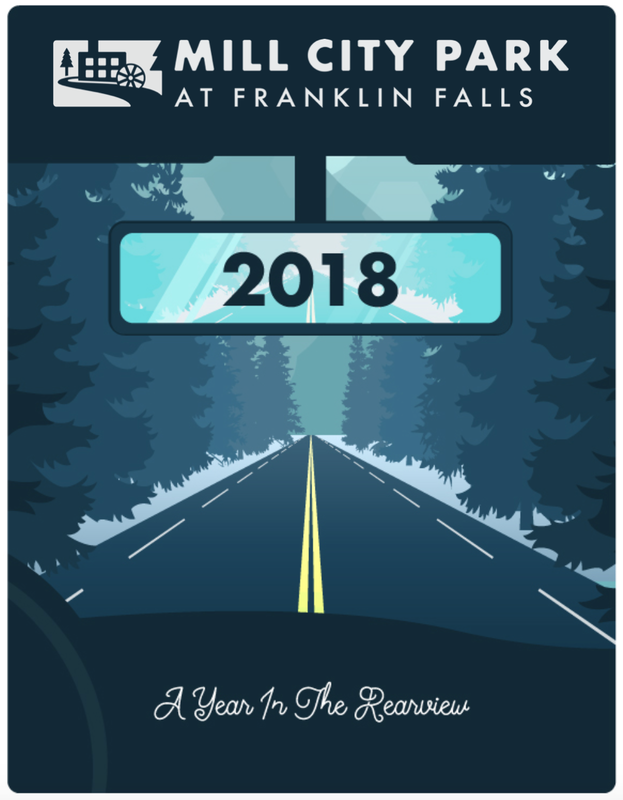 Mill City Park enthusiastically invites everyone to our first Annual Meeting, a fun and informative look at our 2018, a Year in the Rearview Mirror. Come meet our diverse team of directors and volunteers, learn what we have been up to this past year and all the great work scheduled for 2019. A subject matter expert will be present at all tables to help answer any questions and connect with those interested in learning about the project. Of course in true Mill City Park fashion, we have to infuse our event with something out of the ordinary. Our Nontraditional Auction is just the thing. Reserve your seat, or sponsorship today! 5:00 pm - Doors Open. Disclaimer: This time you don’t have to paddle whitewater rapids or strap yourself into a kayak headed down a mountain, to support Mill City Park.